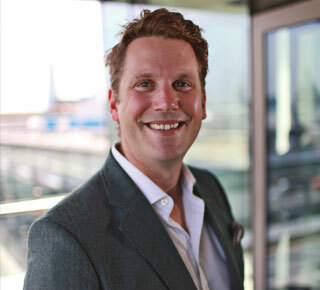 James Dearsley is a global commentator and keynote speaker on the subject of real estate technology and was voted the most influential person in PropTech by mortgage lending and investing marketplace, LendInvest. Having spent 15 years working in both UK and International property markets, James is the Co-Founder of PropTech Consult a firm that specialises in helping global corporations and smaller, more localised startups to understand the digital transformation in the real estate sector. 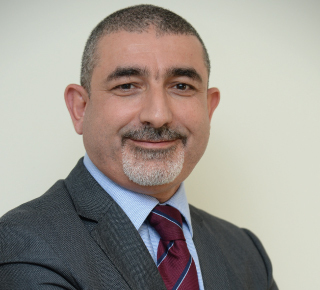 In his role as Chief Marketing Officer of Dubai Properties, Karim Nagaty oversees all marketing functions of the iconic Dubai developer responsible for projects and developments such as JBR, Dubai Land, and Business Bay. 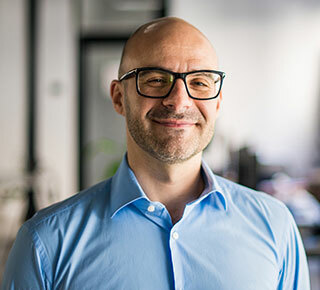 Karim is a multilingual English, French, Italian and native Arabic speaker, with over 15 years of experience in Global Marketing across Europe, Middle East, Africa, Turkey, Russia, and South Asia. 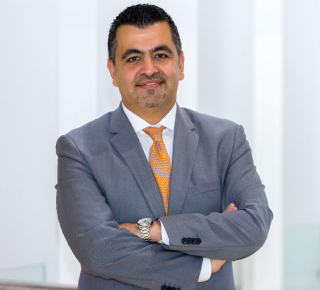 Prior to joining Dubai Properties Group, Karim was the Chief Marketing Officer at Samsung Electronics in the Middle East, Turkey and North Africa, where he set the corporate direction and respective marketing strategies for Samsung products and divisions, leading the brand building, retail development, consumer and market insights and PR functions. 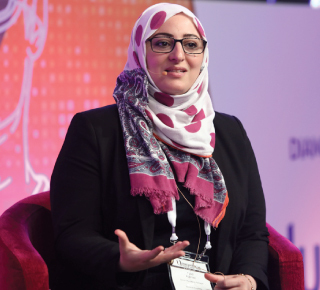 Before that, Nagaty was Commercial Director at Procter & Gamble, the world’s largest consumer goods company. In his 12 years at P&G, he directly lead their Luxury Retail Beauty and Commercial function across Middle East and Africa and managing up to 40 local market and distributor teams, across leading brands such as Dolce & Gabbana, Gucci, HUGO BOSS, Max Factor and SK-II. 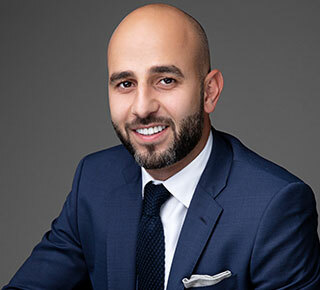 Prior to that, Nagaty held the title of Head of Marketing in P&G Switzerland, where he achieved fast-track promotion across various global and regional roles. Educated at the UK’s prominent Eton College, Karim obtained his Master’s degree in Business Administration from INSEAD Business School London. Before that he received his Bachelor’s degree Business Administration with a concentration in Marketing in addition to a Minor in Psychology from The American University of Cairo. Ann Boothello has been in the real estate industry for over 11 years, and the tech scene for over 6 years. Her focus has been on empowering & influencing teams to bring to market new product features and drive forward creative brand, product & service launches. In parallel to that, data integration and monetization has been an area of play for her. She looks to paint a long-term vision on market transparency through data provision to the public and business stakeholders; that will become an increasingly inevitable focus for sustainability of any business in an exponentially disrupted world. 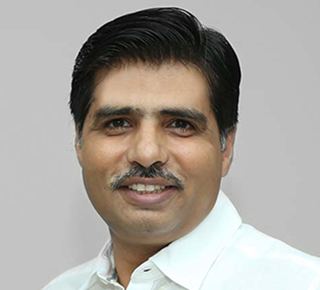 Sameer is a leader in the field of property management with over three decades of experience covering the full spectrum of the real estate management services. 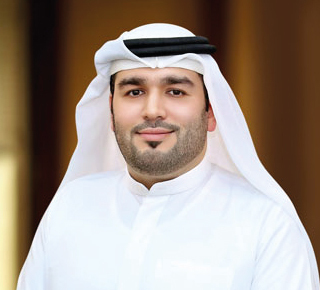 He is currently Executive Director at Khidmah, overlooking the entire portfolio in terms of Property Management, Owners Association and Sales & Leasing teams of both Residential and Commercial Assets. Prior to that, he was Director of Residential Asset Management at Aldar Properties, where he spent over a decade. During that time, he completed and delivered more than 17 projects, some of the most prominent being Sun and Sky Towers, Al Bandar, Al Muneera and Golf Gardens. John is responsible for developing, managing and delivering business strategy, to maximise Shareholder value and return on investment. 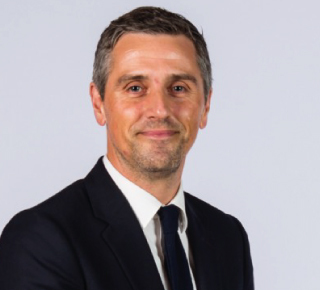 Prior to his appointment as Managing Director, John was responsible for the operations of the Asteco Property Management Department across the region. Before joining Asteco in 2004, John worked in Southeast Asia for 10 years managing some of the region’s best known property portfolios gaining a wide range of experience from Property, Asset and Strata Management to Workspace and Facilities Management for Fortune 500 Clients. 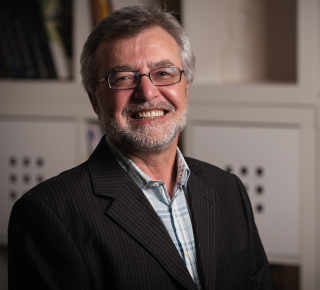 John has continued his specialization in this field and has been a pioneer in the establishment and continued development of professional management services. He is respected within the industry for developing this service. 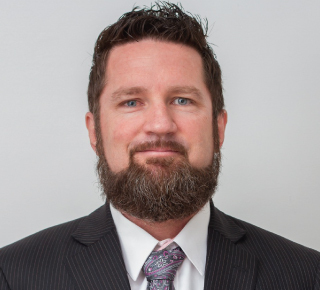 With the experience of providing strategic property advice to Owners and Occupiers, he has a unique and detailed understanding of the operation, maintenance and planning involved in managing Clients’ portfolios with the goal of assisting them to achieve their Real Estate objectives. 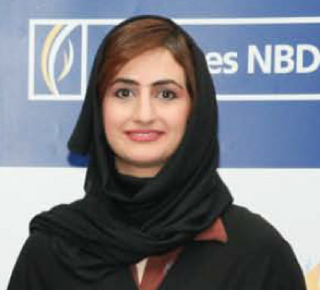 Authored regular market updates on key real estate markets in the MENA region. Managed data warehouse on key real estate market indicators in major markets across the Middle East. Provided market advice to government agencies, investors, developers and occupiers on real estate strategies / portfolios. Regular speaker / commentator on real estate market trends. 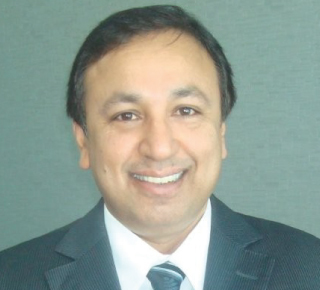 Ajay Rathi, currently heads the Information Technology department of Meraas Holding. Meraas is pioneering several initiatives in various macroeconomic sectors including tourism, leisure, real estate, hospitality, healthcare and asset management. As, Director of IT he is responsible for building and maintaining a highly available, scalable and centralized IT infrastructure and build applications to meet the growing requirement of the organization. 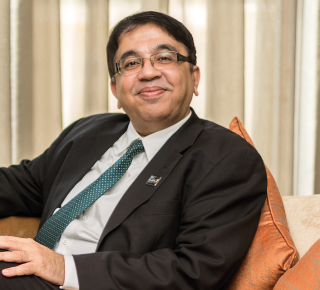 Before joining Meraas Holding, he was Head of IT infrastructure at DAMAC Holding and have also worked for 14 years in various positions at Indian Oil Corporation. He has Master of Engineer and Bachelor of Engineering from Indian Institute of Technology (IIT), India. He is leveraging private and public cloud to provide agility and flexibility to the business. 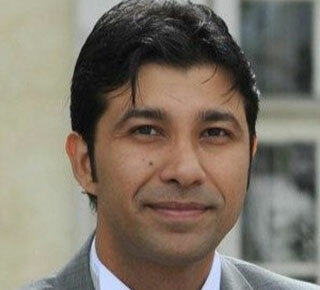 Mr. Amjad Abbas is the CTO of Maisonette Holding. He is a Business and Technology leader with 20+ years of senior experience with Executive MBA from Bradford University - UK. Mr Abbas worked with IBM, SIEMENS, and large multi-national and regional conglomerates, especially in the Real Estate Industry, like Dubai Holding, and Dubai Properties Group. 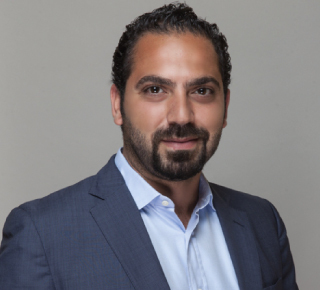 Mr. Abbas lead several companies, co-founded several Software startups, and he is Board Advisor for few Blockchain and Artificial Intelligence startups. 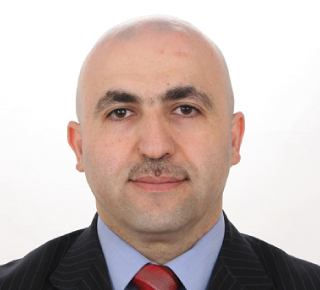 Mr Abbas lead several companies, and lead several large Enterprise IT projects; Enterprise Software, ERP and CRM systems, Business Intelligence, and Smart City solutions. 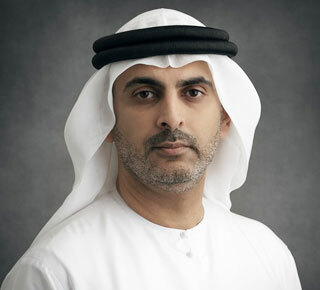 To name few of the projects; he lead the build of the ISP of Dubai Internet City (then du), the main Portal for Dubai e-Government, the largest GIS System in the Middle East, several systems and software for TECOM, Dubai Holding and Dubai Properties Group. 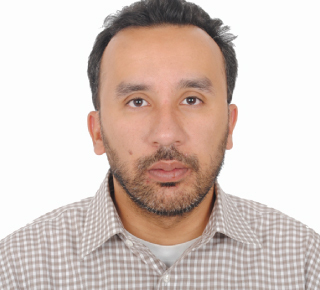 Mr Abbas is IEEE member, and holds several IT industry certifications. He participated as Advisor, speaker in several international CIO Summits, like the RealTech Summit, IDC, and Gartner CIO Summits. Focused, a highly creative leader, recognized for delivering superior results. Well qualified executive with years of experience in architectural design, 3D visualization and business development. A visionary with track record for finding innovative ways in defining general aestetic guidance and in projecting art direction. Nebojša Zaklan is CCO, Art Director and one of the co-founders of Case3D. Over the last decade Matthew has built a rich level of experience in real estate and residential development activities. Commencing as a property legal services entrepreneur, he has progressed rapidly from front line sales with one of the UK’s market leading estate agency chains covering primary and secondary markets, to sales management within the UKs largest property developer where numerous awards were accomplished for outstanding performance and results. 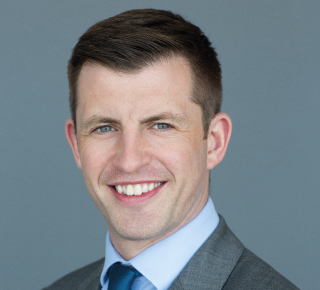 His career journey then took Matthew to London to join Knight Frank on what was then the largest residential mixed use development in London, and where sales records were set and broken both domestically and internationally. Always at the forefront of change and innovation directorships then ensued with digital disruptors before returning to Knight Frank in Dubai to work upon the acclaimed Royal Atlantis Residences project on the Palm Jumeirah. In summary a highly competent sales and marketing strategist, that thrives under pressure and has the motivation, skill and competencies to succeed. 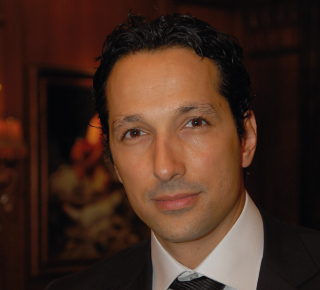 Fadi a Certified Public Accountant holds a degree in Accounting and Finance from California State University. Fadi is also certified by George Washington University in the fields of Financial and Economic Feasibility Analysis and Real Estate Development Analysis. 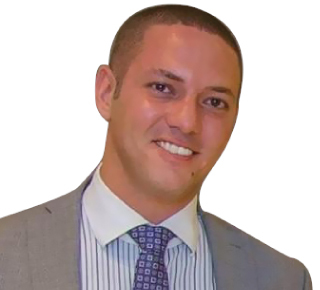 Fadi has over 11 years of investment and real-estate experience within the Middle East. Fadi is currently responsible for Real Estate Developments worth AED 15 Billion and holds executive positions in various investments firms and development companies within the UAE. His vast experience extends over commercial and residential sector and includes development management, project management and investment management within the property sector. Fadi has written numerous articles and most recently was acknowledged as one of 'The Top 20 Most Influential Real Estate Professionals' by Property Times. Fadi brings a deep understanding to the property asset management and he has a vision to transform the UAE real-estate sector by incorporating revolutionary technology trends. 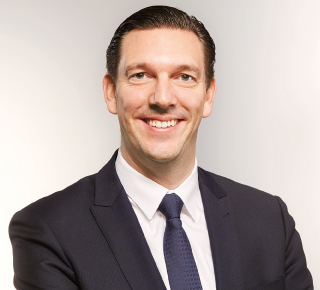 After an apprenticeship in a bank and having completing studies in Business Administrations, Steffen Schaack began his career at the CRM provider FlowFact and later became Sales Director as well as VP and Business Unit Director in the real estate field. He then worked as Vice President Corporate Support Sales & Marketing for CompuGroup in Koblenz, Germany. Since 2018, he has been SVP Global Business Development Real Estate of Drooms, leading the international real-estate sales team of Drooms. Schaack brings long-standing management and sales experience to Drooms. Headquartered in Frankfurt, Drooms plans to further internationalise the business. Samer is an experienced professional and frequent speaker in the area of customer strategy, Real Estate and service management having worked with numerous organizations in a variety of industries including three of leading property master developers in UAE, the primary Oil & Gas company in UAE, and one of the world's premier investment and online brokerage firms in the US. He started working at an operational level managing day-to-day customer service related issues and has eventually used this widely gained experience to move to a higher strategic level, whereby in his latest assignments, he was extensively involved in helping several companies translate their prestigious brand into superior end-to-end customer experience that increase satisfaction, loyalty and long term value of their customers. His main strength is to simultaneously maintain a balance between a strategic focus and a flexibility to move to operational level details to ultimately help the organizations translate their customer strategy into reality. John, a British national, has over 25 years of property related experience and joined Colliers International in 1994 from one of South Africa's leading financial institutions as General Manager - Finance for the company's Property Management Division. 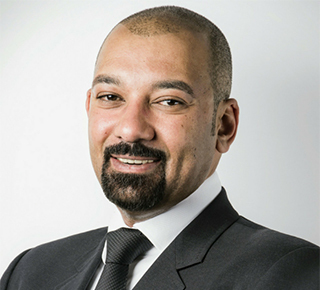 In 1996 he was appointed as a director to the company's main board with responsibility for the company's Property Management activities throughout Southern Africa. 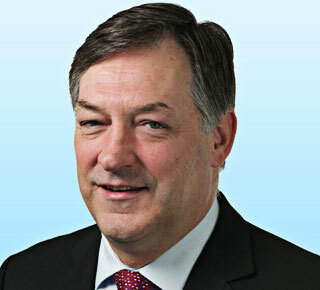 John was instrumental in Colliers International entering into the Facilities Management arena across Southern Africa and in 1998 a new division of the company was formed with him assuming responsibility for both divisions as the Property & Facilities Management Director, prior to his appointment as Managing Director in 2000. 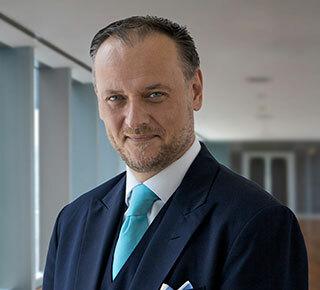 In 2001 he transferred with Colliers International to the UAE to drive the growth of Colliers International’s business across the Middle East region. Based in Dubai, John currently holds the position of regional CEO for the company which now operates 6 regional offices offering a full range of professional real estate related services across the MENA region. 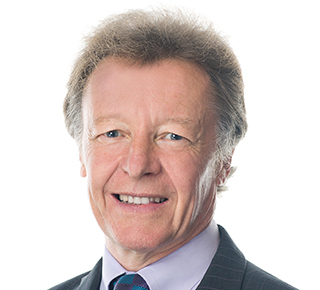 John is a board member of both Colliers International EMEA and the International Governing Committee (IGC) of Colliers International Property Consultants Inc (CIPC). The IGC is a governing body that oversees and facilitates the relationships between the three regions in which CIPC operates, namely: The America’s, Europe, Middle East and Africa (EMEA) & Greater Asia. In addition to the above positions he also holds a position as a director on the executive committee of the Colliers International Global Investment Services Team. Beg worked for a London based security company while still at college. Later, he provided e-marketing solutions for many companies like Microsoft, Barclays, HSBC and Alfred Anderson. Beg founded Elite City, a real estate development company. Over the years, Elite City has emerged as a leading provider of real estate solutions in UAE. It provides luxury residences and high-end customer services at affordable prices. Elite City works in collaboration with Triplanet International. It plans to launch Elite Business Bay and Elite Downtown in 2019. Following a religious upbringing, Beg is a practicing Muslim. He insists on conducting interest-free business transactions. Beg strongly believes in financial freedom for all. across all departments, facilitating the communication and seamless delivery of IMKAN’s core purpose to all stakeholders. After spending over 15 years in real estate, hospitality, F&B and media sectors, Carine carries an extensive management & consultancy level background in building world-class brands across multiple industries. As a successful leader in previous roles, she curated and spearheaded efficient integrated strategies to help elevate brands under high-profile companies such as Emaar, MBC, Meydan Sobha, Meraas, Kerzner and KIPCO. 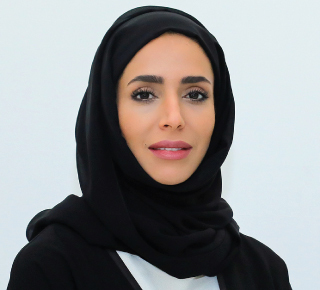 Her notable accomplishments are fully driven by her passion for developing iconic destinations that stand out - not only in the region but across the globe. 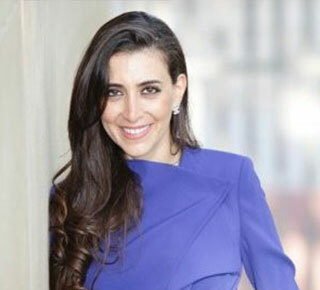 Carine holds an MBA in Strategic Management from HEC Montreal and a BA in Economics from The American University of Beirut. She is an active alumnus of both universities and occasionally mentors students from these and other institutions. Stefan is the owner of Evarei/Globalstate Limited and has senior professional expertise and experience spanning 23-years in private equity, investment, advisory and management consulting sectors, specializing in hospitality, leisure and real estate, and is the former vice president of investment for real estate and hospitality projects at The Abraaj Group in Dubai, U.A.E, the region's pre-eminent private equity firm. 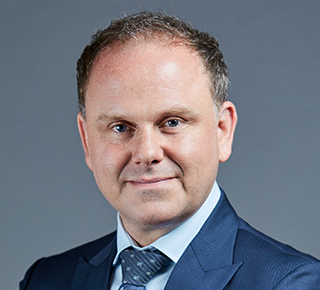 Stefan has considerable expertise as a principal in the direct investment space and has developed a successful track record in deployment of capital into well-structured, risk-adjusted investment opportunities with clear growth and exit potential. He has been instrumental in the investment and planning of over USD 25 billion of real estate, hospitality and leisure development projects spanning the past 3 decades. He has completed more than 500 investment advisory, planning, feasibility assessment, business valuation, asset management and investment projects covering almost every type of real estate, hospitality or leisure Business. 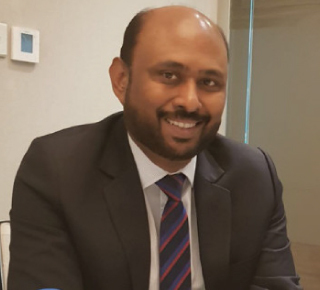 Shajil Thyagarajan heads the Property Management at H&H and is responsible for developing, managing and delivering business strategy, to maximize Shareholder value and return on investment. A visionary real estate executive with more than 18 years’ experience building value for large corporations in diverse market sectors. Established capabilities in strategic planning, general management, portfolio management, facility control, policy/procedure formulation, lease coordination, contractor management, and investor reporting. Increased asset value and ROI for a large real estate portfolio by ensuring optimum leasing and outsourcing arrangements and maintaining alignment with strategic goals. Spearheaded core changes in organizational processes, delivering strong and sustainable improvements in production efficiency, cost control, and performance. Proven initiator with strong leadership, team building, organizational and communication skills. 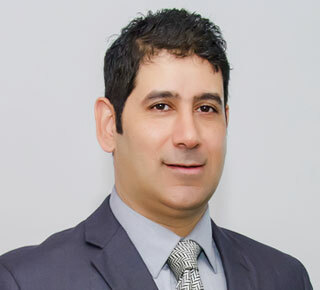 Before joining H&H in 2009, Shajil worked 9 years in the capacity of Assistant Operations Manager for the Property Management Division of Better Homes LLC. Shajil is respected within the industry for the exceptional problem-solving ability and excellent PR with both owners and tenants. Ben Piper is a Principal and Partner with Killa Design with 18 years of professional experience in architecture (11 years in UAE). He is an experienced leader with an excellent ability to lead multidisciplinary teams in the delivery of building projects. He has held senior roles in a variety of global practices including Gensler, Halcrow, Atkins, Perkins+Will and Killa Design in designing hotel, residential and mixed-use developments in the Middle East, India, China, US and the UK. Projects completed or under construction include 56-story VIDA Marina Branded residences and Hotel for Emaar, Dubai; 45-story BLVD Heights Residential Tower for Emaar, Dubai; 52-story Creekside Residence for Emaar, Dubai; 35-story commercial office building for Barwa Bank, Qatar; 280 Key Diplomatic Quarter Hotel Serviced Residences for Marriot, Riyadh; 300 Key Acacia Residences for Emaar, Dubai; 62-story BLVD Address 5-star hotel and serviced apartment for Emaar, Dubai; 60-story Namaste hotel for Starwood, Mumbai; 10,000 seat occupancy IT Offices for ITC, Bangalore. Ben holds several technology patents from the Massachusetts Institute of Technology based on his research into the field of computational design tools. He has an expert understanding of REVIT and other software that support the efficient production of fully coordinated design packages. As a LEED Accredited Professional Ben is deeply committed to sustainable design and has implemented numerous energy, water and waste saving principles into his LEED Platinum rated design work. He is regularly invited to speak about his design work at major conferences and universities around the world. He recently was awarded Middle East Architect of the Year (commended) and has won awards for individual projects in the Middle East Architecture Awards, Arabian Property Awards, Index Awards and World Architecture awards. 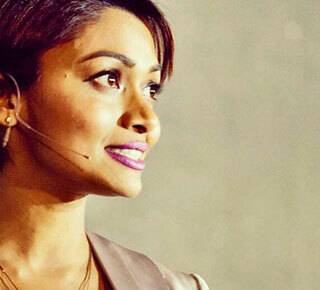 Anjum is a hybrid marketer who loves to integrate technology into marketing. Anjum has more than 15 years of experience in various countries including UAE, Qatar, KSA and India. Starting from a career in Information Technology, Anjum made a transition towards marketing as the role of technology started enabling businesses in building lasting relationships with their customers. Anjum has extensive experience in leveraging digital channels to generate leads and automate marketing for increased customer engagement. Currently the Digital Marketing Manager at Aston Pearl Real Estate, Anjum creates and executes an integrated marketing strategy using Email marketing, search engine optimization , search engine marketing, display advertising and analytics. Retargeting and remarketing are some of his fortes and that’s where he likes to test and experiment. 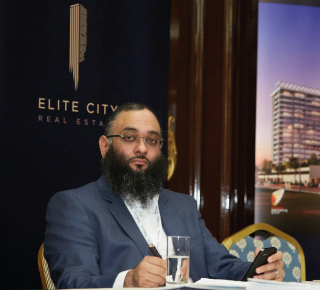 Anjum is a regular contributor in regional and International newspapers and blogs on the topics related to the role of technology in real estate and property market trends. 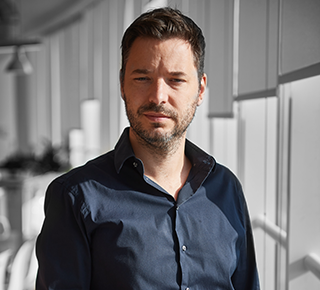 Richard is the Studio Chair and Principal of the Dubai Studio at Woods Bagot and is an experienced award-winning RIBA and ARB registered Architect with over 15 years of wide-ranging international experience. His project experience ranges from inception to completion covering a multitude of sectors including cultural, civic, mixed-use, residential, workplace, hospitality and education. 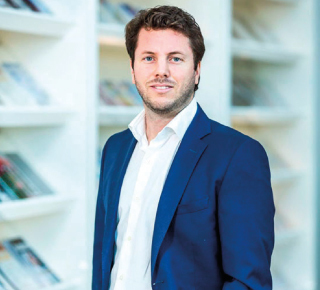 Since joining the Dubai studio in early 2011 Richard has led some significant and notable award-winning projects including the Expo CoEx Campus, IRENA HQ building and the Etihad Eco Residences at Masdar City. In addition to providing studio and project leadership he is the Middle East Client Leader and is also a committee member of the Royal Institute of British Architects (RIBA) Gulf Chapter. Richard is passionate about design and sustainability and is committed to delivering projects of the highest quality. He demonstrates strong leadership, communication and technical skills along with applying commercial acumen, ensuring successful project outcomes. Scott Coombes is Director and Managing Partner at AESG, an industry-leading specialist consultancy in the Middle East and Europe offering design and engineering services in sustainable development, building performance analysis, façades and façade maintenance, fire and life safety, MEP advisory, vertical transportation and acoustics. 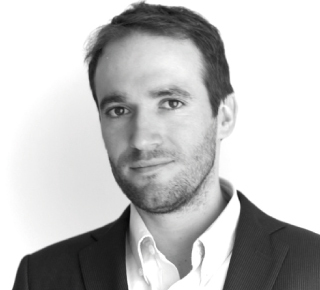 Scott holds an honours degree in Architecture from the University of Nottingham and is a subject matter expert on building performance analysis, net zero advisory and sustainable design. As a resident of the UAE for 30 years, Scott has developed a particular interest in the passive architectural design techniques utilised throughout traditional Islamic architecture, which has formed the basis of his involvement in various developments across the Middle East. A Construction Engineer graduate from The American University in Cairo with eight years of seniority in the Oil & Gas field ranging from leading offshore rigs in the Mediterranean Sea, up to International Oil Companies’ Technical Sales Management in the UAE; Ahmed sought off a more challenging opportunity & decided to follow his real passion, Real Estate. 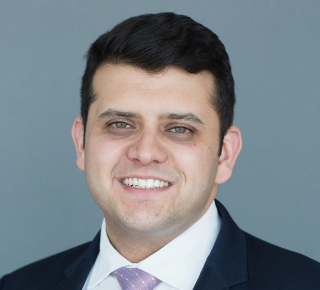 Having done his research in the Dubai market, Ahmed joined fäm Properties’ Business Development Department where his strive for success rapidly escalated his growth within the organization and he was promoted to his current position. Ahmed currently is the Director of Asset Management of fäm Properties where Property Management Department falls under him. He is the focal point with all investors and the mastermind behind continuously developing new ideas to best serve both landlords and tenants. 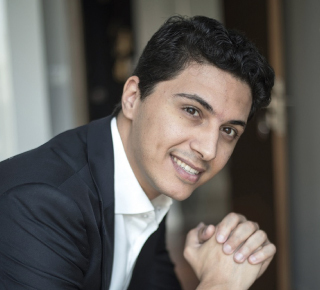 Most recently, Ahmed has been a founding cornerstone in establishing fäm Living; the Holiday Homes arm of fäm Group. DJ is a senior principal and Managing Partner of ZAS Group of Companies, he has extensive experience in managing and designing tall buildings, large scale and complex developments. His creative approach to developments has earned him a reputation of being one of the most credible people in the industry. DJ has been an international expert advisor to many governments and semi-governments such as Government of Caribbean Island, Toronto Muncipality, Government of Libya, and Government of Ivory coast. His extensive design and management expertise of large scale & complex, mixed-use, high rise, and master planning projects has led to the successful completion of several large neighborhoods, infrastructure, cultural, corporate, institutional, residential, hospitality, passenger terminals, city centers and private / public sector projects. Over the last 35 years, he has been associated with several high-profile projects in UAE, Canada, Caribbean Islands, France, Ivory Coast, Kingdom of Saudi Arabia, Egypt, Libya, Sudan, Oman, Kurdistan, Morocco, India and Angola. Dr. Armin has a PhD. in Architecture and a Masters degree in Urban and Regional Planning from Sorbonne University in Paris. Originally founded in Canada over 30 years ago, ZAS Group of Companies with offices in Toronto, Vancouver, Dubai and Bishkek leads an affiliate network of firms. The diversity of our portfolio is a direct result of the broad range of clients we have collaborated with across the world. Working comfortably with either private sector or governmental clients, our services are delivered at a consistent high level of quality. With a global reach through our offices in North America, Europe and the Middle East, we are well positioned to service our clients in several jurisdictions. Our team of Architects, Engineers and Finance professionals are alumnus of some of the best universities in the world and have earned themselves a reputation of being astute and informed. Currently we are developing some of the most prestigious educational projects in the region including RIT Campus in Dubai and PMU College for Visually impaired in KSA. Setting benchmarks worldwide for engineering education, recently completed “The Bergeron Centre for Engineering Excellence” designed by ZAS Architects re-thinks campus hierarchy to foster modern ways of learning, resulting from an intensive design process between ZAS Architects, The Lassonde School of Engineering, and York University . Jose received a PhD in robotics from Tokyo Institute of Technology. He is currently associate professor CS Department of UAE University where he teaches: Blockchain, IT Ethics, and Design thinking. 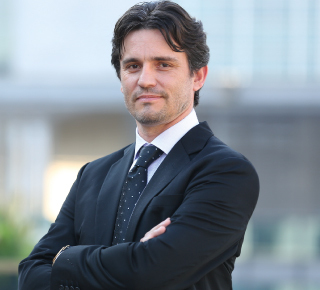 He has taught workshops and courses internationally at Apple, DEWA, Mexico’s CEDIM and Dubai’s HULT business school. Jose is a Kaggle master and the IEEE EMBS and RAS UAE chapter chair. He advises various startups such as Awok.com, healint.com, RegalAssets and myhappyforce.com. His research focuses on creative process and applied data science. A real estate professional that brings over 34 years of property experience with him. He combines a wealth of management expertise with international sales and marketing experience. Originally based in London, UK, Mario's real estate career began in 1984. 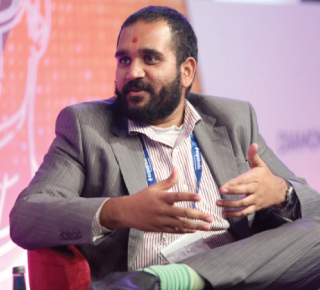 In 2008, he relocated to Dubai and quickly acquired both regional culture and business acumen. He is well adversed in dealing with high net worth clients in delivering pre-determined objectives and has a high success rate in exceeding key client’s expectations. 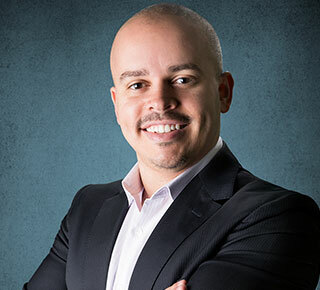 Mario has extensive real estate experience and as such has appeared on television programs such as Emirates 24/7, Emirates News, City 7 TV and Studio One. He is a regular radio contributor and writes a weekly real estate column in The National newspaper which is published in the business section every Thursday. He has hosted and moderated the Real estate broker’s summit prior to Cityscape in 2014, 2015 and 2017. In 2017 and in collaboration with the Dubai land dept., Mario was voted as one of the top 20 most influential real estate agents in Dubai. 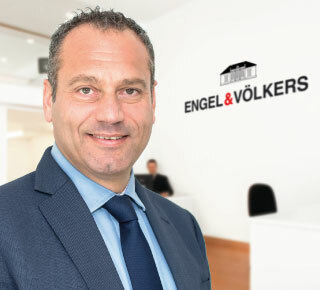 Mario joined E&V in February 2018 as the Sales Manager of one of the largest teams dealing in both sales and rentals of residential and commercial real estate. 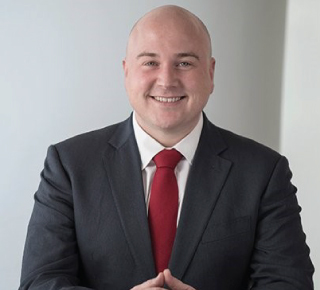 Richard began his career in property in 2004 at a top UK estate agency and has extensive real estate experience including sales, leasing, property management, financial services, and acquisitions, most recently holding the position of Managing Director for London and the Home Counties. Richard joined the Betterhomes family in 2017 as Director of Brokerage and leads this fundamental division with property consultants from all over the world operating across ten branch offices in Dubai, Sharjah and Abu Dhabi.